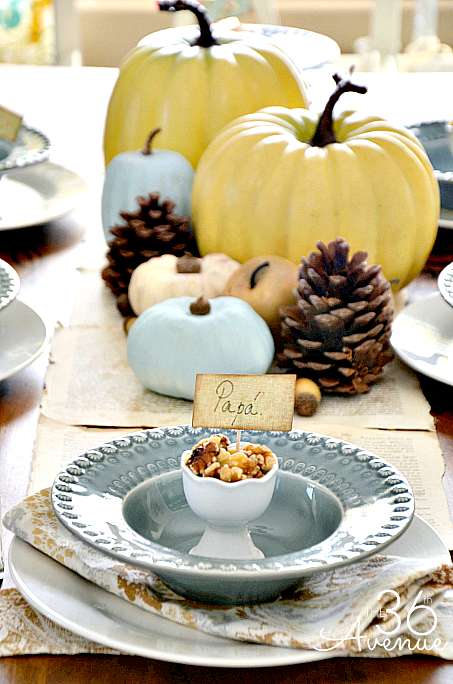 For the center piece I am using a bunch of pumpkins, pinecones and acorns/nuts. 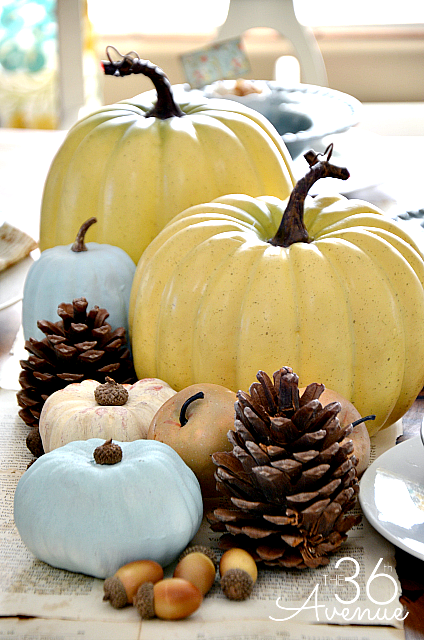 I spray painted the blue pumpkins and I was lucky to find the yellow ones at my local Wal-Mart. 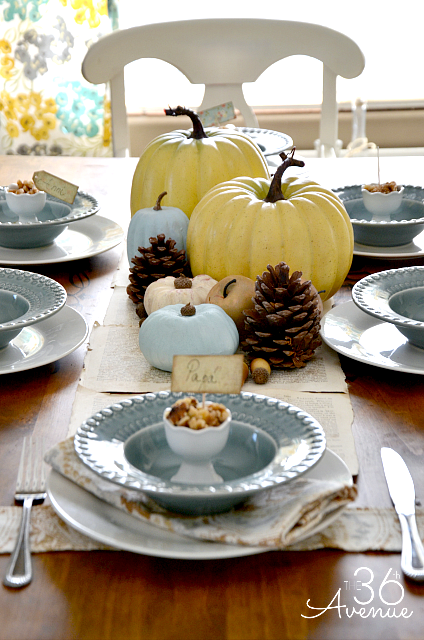 The pinecones came from the backyard and you can find acorns/nuts at any food store. 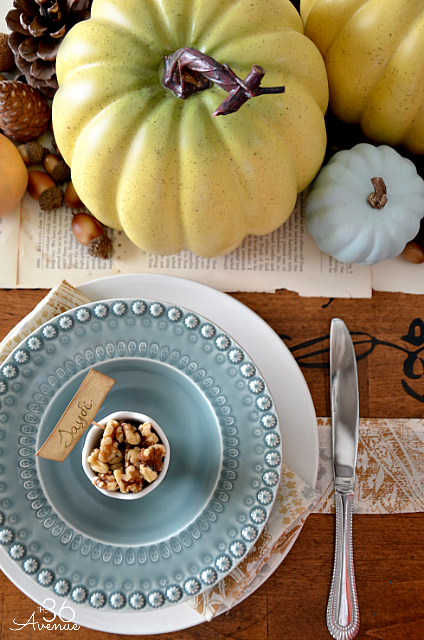 For a table runner as you can see I am using a bunch of book pages taped together… Simple and easy. 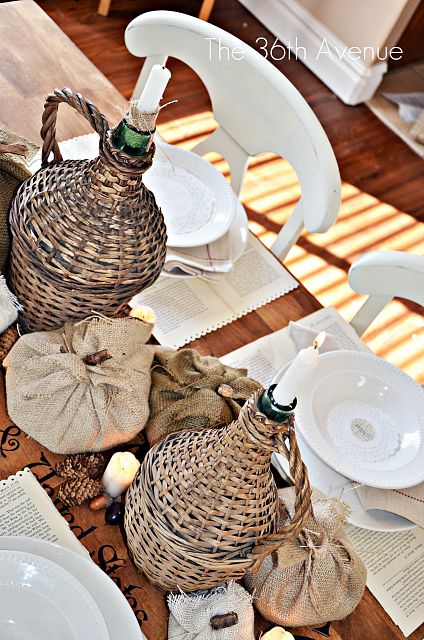 You can also use book pages to make plate mats. 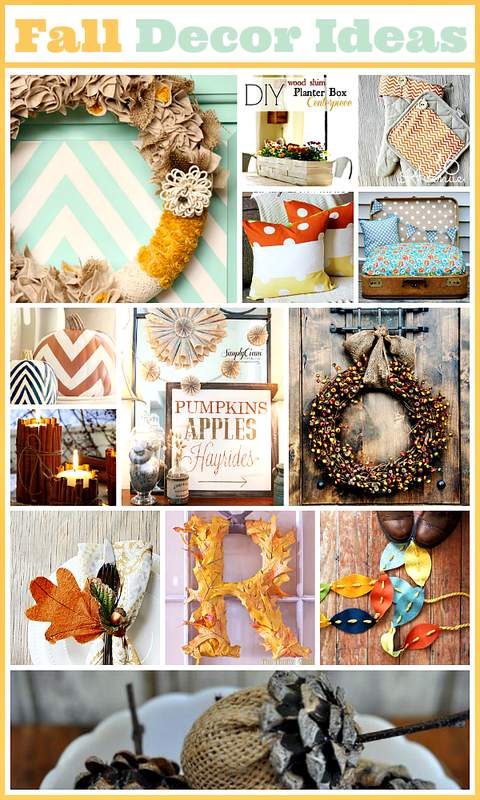 Click here to see a step by step tutorial of how I made mine last year. When you are designing any space try to work with things that you already have. When you are able to think outside of the box you’ll be amazed by how many things you can create. 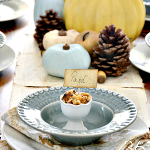 that way you can have a little snack while waiting for the turkey! then I used hot glue to stick them to a toothpick… Oh the little details! but they complement each other and bring character to the table. …I say sometimes less is more! 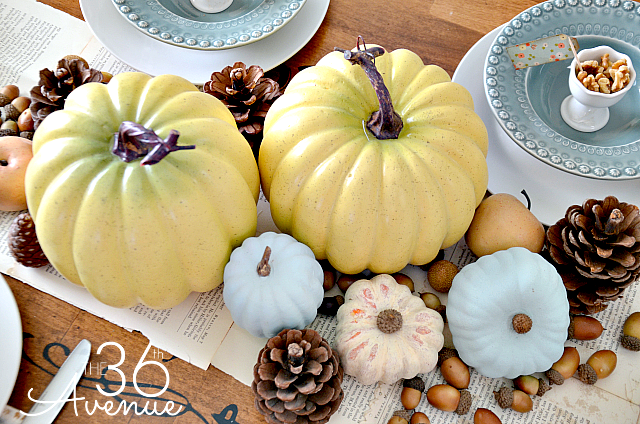 For more Thanksgiving Decor check out these gorgeous Fall Decor Ideas. 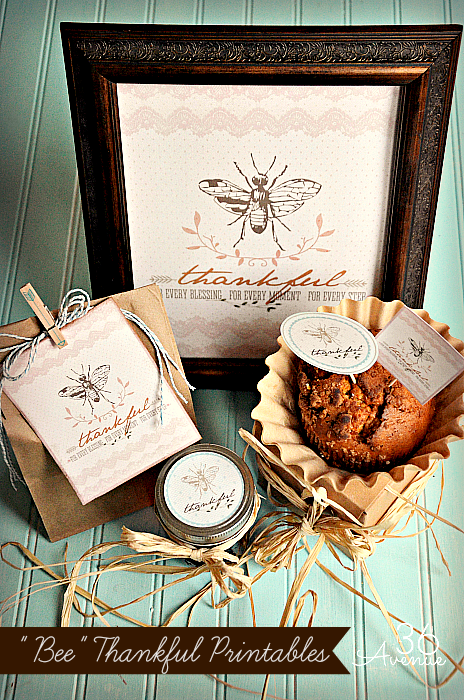 Also feel free to print my “Bee” Thankful Printable Set here. Thank you so much for spending a bit of your day with me! 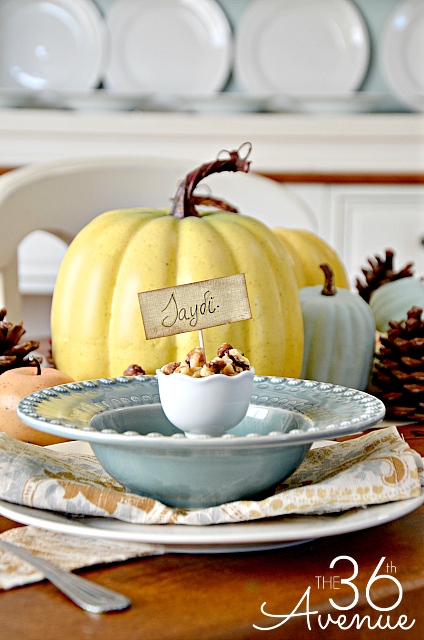 Love the idea of spray painting pumpkins to match your dishes. Simple but it looks amazing!